in suite for a nominal fee. The following activities are offered to all Parade Kids, Tweens and Teens. Download the full amazing schedule - Excel formatted or as a PDF. Kids Meet and Greet – join other Parade Kids for fun, games and entertainment. Hang out with old friends and meet new ones. Pool Party – Hang out with your friends for water games and prizes. Karaoke too! Catch a show on Movie Night in historic downtown. Then take a horse drawn carriage ride or enjoy free music at the Market Place. Walk River Street and check out all the great shops. You can even watch how Pecan Pralines are made at the best candy shop in town. Ghost Tour – Come out and see some of the most haunted areas the South has to offer. Hear spooky lore dating from the Civil War era and see where apparitions are still said to walk. Due to subject matter, this tour may not be appropriate for younger Parade participants. Savannah Trolley Road Rally for Tweens and Teens! – A fun mini rally for kids and families. Take a tour around historic Savannah aboard the free Shuttle, Streetcar and Ferry during your stay. Answer all the questions correctly for a chance to win! Kids Autocross – Navigate your bike thru the cones as fast as you can. FTD wins in two age groups for children 6 to 10 and 11 to 15. RC Boats and Cars – Test your skills with the return of RC boats and the kids favorite…RC cars. Compete for best time of the day and bragging rights! Slot cars – How fast are you around those corners! This is not your Dad’s race track. Craft - Photo Gallery – Take your best shot! Capture your fun on film. Enter your 3 favorite pictures in our new Kids Photo Gallery display. A great way to show everyone how much fun you had at this year’s Parade! Craft -Sand Art – have fun designing your own sand globe. Daily activities in the Parade Kids Club room including games, videos, make and take activities, books, puzzles, music…you name it, it’s here! Xbox Challenge – Race some of the toughest tracks in the world and compete for the best time against your friends for bragging rights! Wii Games – Play a variety of games from tennis and bowling to arcade games. Ice Cream Social – Take a break from all the action and enjoy a cool treat. 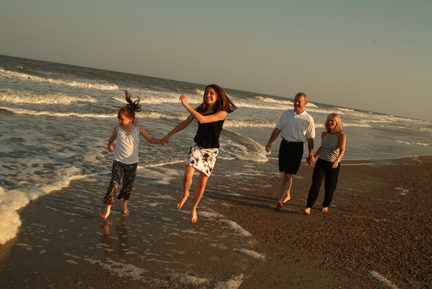 Tybee Island Adventure – Spend a great family day on the Island riding bikes by the beach. Take a tour on the ocean and look for Dolphins. Explore the historic Light House and Marine Science Center where you can see loggerhead sea turtles. Then enjoy your evening with dinner and a spectacular sunset.